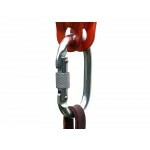 Oval, stainless steel, with secure screw gate, 5,420 pound force per foot. 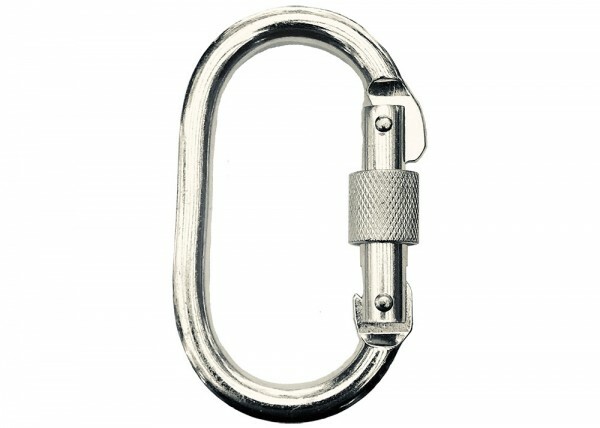 Designed specifically to pair with the pulley, the carabiner connects the pulley to the leash. 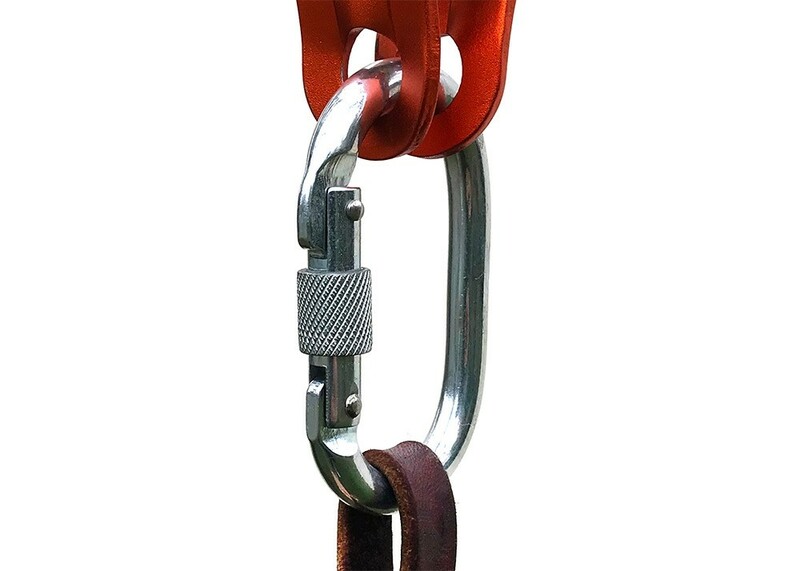 Clip the carabiner to the pulley once you position the pulley onto the line between the blocks. Attach the loop of the leash to the carabiner and screw the gate to secure.